With Black Lightning set to return to the CW tonight after a well-received first season, the stakes are much higher (and deadlier) heading into season 2 – especially for the Pierce family. Jefferson Pierce aka Black Lightning (Cress Williams), Anissa Pierce aka Thunder (Nafessa Williams) and the rest of “Team Lightning” are going to have a lot more than a returning Tobias Whale (Marvin “Krondon” Jones III) to contend with (a threat worthy of its own season, as we’ve seen): now that Green Light’s out in the community, the battle for Freeland’s future has gotten a lot deadlier. Black Lightning s0201 – ‘The Book of Consequences: Chapter One – The Rise of The Green Light Babies’: Jefferson Pierce (Cress Williams) and his family may have survived Tobias’s (Marvin Jones III) attack, but they’re not out of the woods yet. 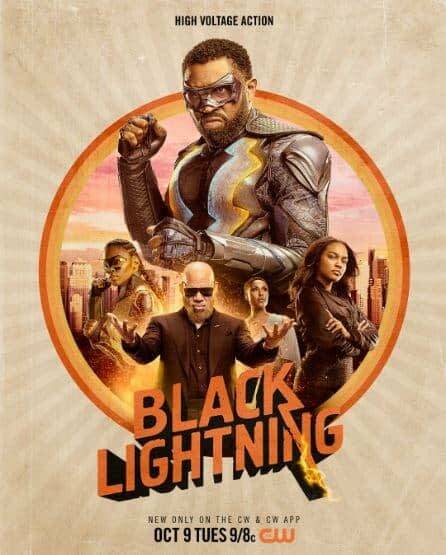 Cress Williams, Nafessa Williams, China Anne McClain, James Remar, Damon Gupton, Christine Adams, Marvin “Krondon” Jones III, Charlbi Dean, and Jordan Calloway star in the second season of Black Lightning, with Sofia Vassilieva (Supergirl) joining this season as DC Comics hero Looker.